Oxford Global is proud to present the Annual Formulation & Drug Delivery UK Series to be held on 29 – 30 April 2019, London, UK. Over 220 delegates representing leading pharmaceutical organisations, biotech companies internationally renowned research & academic institutions will be present. Aktham Aburub, Senior Research Advisor and Scientific Leader of Drug Product Design, Eli Lilly Co. It is with great pleasure that I announce the 2nd Molecules Medicinal Chemistry Symposium (MMCS): Facing Novel Challenges in Drug Discovery to be held in Barcelona, Spain, 15–17 May 2019. At a broader level, the objective of the Belgian Polymer Group (BPG) is to promote contacts between key-players in the field of polymer science, both from industry and academia. Ghent's city center is a pedestrian area that is like a museum on early Flemish architecture and a testament to the city's rich medieval history. A walk through the town on a summer's evening, when most of the important buildings are illuminated, is an unforgettable experience, as is a boat trip on the many branches of the Scheldt and Leie canals that intersect the city. Get lost in the historic center, explore the museums, enjoy the culinary talent and local beers, or throw yourself into the bustling nightlife. The conference venue (“Het Pand”) is located in the heart of the city, close to many hotels, restaurants, bars, shops and the historic center. Furthermore, travel to Ghent is easy because of a direct and frequent train connection between the Brussels International Airport building and the city center. See you in Ghent for a stimulating blend of fascinating heterocyclic chemistry and relaxing social activities! On behalf of the Scientific and Organizing Committees, it is our pleasure to announce the XXVI edition of the National Meeting in Medicinal Chemistry (XXVI NMMC 2019), which will be held in Milan on the occasion of the 40th anniversary from the establishment of the Italian Medicinal Chemistry Division (Divisione di Chimica Farmaceutica) of the Italian Chemical Society (Società Chimica Italiana). As in the last editions, the meeting will be joint with the 12th Young Medicinal Chemists Symposium “Nuove Prospettive in Chimica Farmaceutica” (NPCF12), mainly directed to graduate, post-graduate, PhD students and young researchers operating in Academia or Industry. The XXVI NMMC will start on July 16th 2019 with the Registration Desk and the Opening Ceremony at the Aula Magna of the University of Milan – Via Festa del Perdono 7, and will continue there from 17th to 19th. From 1958, the University is based in the “Ca’ Granda”, the name once used to indicate the huge “Ospedale Maggiore”, the biggest hospital in Milan until 1939. The “Ca’ Granda”, located in downtown Milan, is a beautiful example of Lombard Renaissance architecture. The Scientific Program, organized in two parallel sessions, will consist of oral presentations (plenary and keynote lectures) and a limited number of short communications. Special sessions will be devoted to poster presentations. We cordially invite the scientific community to actively contribute to this scientific event, organized under the auspices of the University of Milan in our more than two thousand years old city, Mediolanum, which became a metropolis at the beginning of the 4th century B.C. Milan, which hosted the Universal Expo in 2015, is world-renowned as one of the capitals of innovation, science and art-based events, finance and business, opera, design and fashion. Together with a stimulating scientific program, all participants will enjoy the exciting city atmosphere. We really look forward to welcoming you in Milan. This first symposium will concern the design and synthesis of molecular machines and functional molecules, as well as their characterisation by single-molecule force spectroscopy techniques. We are looking forward to this symposium to cover single-molecule AFM approaches for supramolecular chemistry and biology. We expect that the meeting brings together an outstanding yet diverse group of chemists and biophysicists. The use of biophysical methods in drug discovery is rapidly increasing and the field is in constant evolution, as documented in a recent review: "Biophysics in drug discovery: impact, challenges and opportunities." Renaud J.P., Chung C.W., Danielson U.H., Egner U., Hennig M., Hubbard R.E. & Nar H. (2016) Nat. Rev. Drug Discov. 15: 679–698. Many pharmaceutical companies have set up in-house biophysical platforms to speed up the target-to-candidate process and improve the quality of small-molecule therapeutics through a better understanding of their interactions with their targets. Academic labs involved in early-stage drug discovery also heavily rely on biophysical techniques. The sixth edition of the conference intends again to bring together biophysicists and medicinal chemists, the synergy between their disciplines being key to deliver better drugs on a shorter timeline. It will cover current hot topics including the complementarity between two major structural biology techniques, X-ray crystallography and cryo-EM, a rapidly evolving field distinguished by the 2017 Chemistry Nobel Prize – see our newest review: "Cryo EM in drug discovery: achievements, limitations and prospects." Renaud J.P., Chari A., Ciferri C., Liu W.T., Rémigy H.W., Stark H. & Wiesmann C. (2018) Nat. Rev. Drug Discov. 17: 471–492. We are extremely honoured to announce that Professor Kurt Wüthrich (The Scripps Reseach Institute, US & ETH Zurich, CH), Nobel Prize in Chemistry 2002, has accepted to deliver the keynote lecture! The 13th National Congress of the Austrian Society of Nuclear Medicine & Molecular Imaging will take place from January 23 – 25, 2019 in the Ferry Porsche Congress Center (FPCC) in Zell am See, Austria. 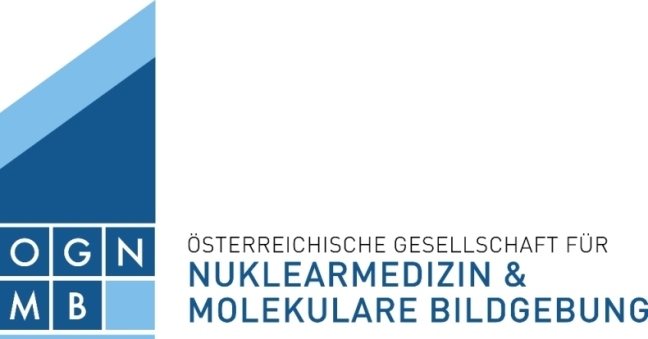 The congress is organized by the Austrian Society of Nuclear Medicine & Molecular Imaging (OGNMB) and will be held under the auspices of the EANM. Authorities with experience in basic science as well as clinicians from Austria will come together to share their experience with us. Lectures will cover the full range of diagnosis and treatment in molecular imaging. Furthermore, new types of session will be introduced to make this congress attractive to nuclear medicine physicians, physicists, radiopharmacists and technologists. The lecture hall, the poster walk and the exhibition area are directly located on the same floor. This layout ensures and provides easy accessibility as well as excellent face – to – face communication between exhibitors and congress participants. We would highly appreciate your participation and we are looking forward to seeing you in Zell am See in January, 2019. The Medicinal Chemistry Divisions of the two Belgian Chemical Societies, Société Royale de Chimie (SRC) and Koninklijke Vlaamse Chemische Vereniging (KVCV), are organising every year an international one-day symposium with the aim to update participants on selected areas of pharmaceutical research by specialists in their respective field. MedChem 2018 will be held on Friday November 23, 2018, in Namur. The programme of the day will include six invited lectures and three oral communications selected from submitted abstracts. The conference will be held online from 15–30 November 2018, enabling you to present your latest research to the scientific community and to have the opportunity to participate in fruitful exchanges of information with academic and industrial groups from all over the world. It is absolutely free of charge to participate as an author or a visitor; all you need to do is create an account on the home page. After the conference, the authors are also welcome to submit an extended version of the proceeding papers to the Special Issue of Journal Metabolites with 20% discount of the APC charges. The aim of the Conference is to gather researchers from all over the world and encourage discussions on any scientific field related to drug discovery and development. By posting presentations, videos, or posters disclosing your recent outstanding results, take advantage of the Conference to promote your work among thousands of your peers. Participation, as an author or a visitor, is ABSOLUTELY FREE; simply register on the home page. Join Oxford Global’s 5th Annual Drug Discovery USA Congress taking place on the 11-12 October 2018 in San Diego. Across the two days, over 40 expert speakers will provide you with insights into the latest technological innovations and strategic approaches in drug discovery and drug chemistry. The American biopharmaceutical research sector has been a world leader in the development of new medicines over the past 30 years and it continues to drive biopharmaceutical innovation. Our conference delivers an extensive look across the development process: from drug discovery innovation and strategies to computational chemistry and informatics for drug design. The conference will feature over 40 presentations from leading heads of the pharmaceutical industry and ensures you will benefit from the latest case studies and high level scientific debate. Topic discussion ranges across the latest validation and optimisation strategies in neuroscience, cardiology and oncology. Further talks look at approaches to phenotypic and genomic drug discovery design, as well as novel approaches to drug design: AI-based design, DNA Encoded Libraries and protein-protein interactions. We are witnessing rapidly unfolding efforts to reinvigorate the antibacterial pipeline, improve antimicrobial stewardship and bring the multidrug microbial resistance under control. Industry, academia and government entities are working together on sustainable solutions for the antibiotic resistance crisis. Multidrug-resistant Gram-negative bacteria currently pose the biggest threat and attract the most attention from researchers and policy makers. Novel platforms, screening strategies and new drugs as well as new pathways for clinical development and market access are needed to overcome the current state of emergency associated with multidrug-resistant bacteria. Cambridge Healthtech Institute's 5th Annual Re-Entering Antibacterial Discovery and Development Summit is designed as a knowledge and experience exchange for the major stakeholders working in this important area. The Summit features two conferences, Antibacterial Discovery and Development (September 26-27) and Targeting Gram-Negative Pathogens (September 27-28), and several short courses. Il XXXVIII Convegno Nazionale della Divisione di Chimica Organica della Società Chimica Italiana si svolgerà a Milano dal 9 al 13 settembre 2018. L’organizzazione di questa edizione del Convegno è curata dalla Divisone di Chimica Organica della Società Chimica Italiana con il supporto dell’Università degli Studi di Milano e dell’Università degli Studi di Milano-Bicocca, e con la collaborazione di Federchimica e Assolombarda. Il Convegno, come da tradizione, è aperto all’accademia, agli enti di ricerca, all’industria, alla scuola ed alle istituzioni attive in tutti i settori della chimica organica ed in quelli interdisciplinari ad essa collegati, con lo scopo di stimolare discussioni e promuovere proficui scambi scientifici. The XXV EFMC International Symposium on Medicinal Chemistry will continue the tradition established by these biennial symposia of covering drug discovery advances in major therapeutic areas, including the treatment of inflammatory and autoimmune diseases, infectious diseases including fungal infections, cardiometabolic diseases, neurodegenerative diseases and oncology. EFMC-ISMC 2018 will present the most recent advances in up-to-date topics like protein degradation, STING pathway, kinetics and pharmacokinetics of drug binding and PET imaging, and will tackle some out-of-the-box areas of Medicinal Chemistry including carbohydrate-based vaccines and new chemical modalities, while Chemical Biology approaches to target identification will cover the interfaces between chemistry, biology and experimental medicine. Particular emphasis will be put on first time disclosures, recent highlights in medicinal chemistry, and the impact of artificial intelligence in drug discovery. We are pleased to announce the Second International Conference on Zika Virus and Aedes Related Infections to take place in Tallinn, Estonia, June 14-17, 2018. This unique, inter-disciplinary conference will include all Aedes related infections in addition to Zika. Aedes related infections have become a concern and continue to be a global threat with Europe being one of the affected areas. The content of this conference will include: epidemiology and clinical aspects of Aedes related infections, gynecological aspects and follow up with children born to Zika infected mothers. In addition, virology aspects, diagnostic methods, new therapy and vaccine production as well as new methods of mosquito control all will be discussed in the meeting. The congress entitled "32èmes Journées Franco-Belges de Chimie Thérapeutique et 26èmes Conférences Européennes des Pharmacochimistes de l'Arc Atlantique", will take place between 13th and 15th June 2018 in "Les Tourelles Centre" on the beach of Asnelles-sur-Mer near Arromanches (Normandie, France). It is still possible to propose PhD short communications (5 min), Young Researcher communications (15 min), or Poster communications. Numerous prizes will be awarded. All details concerning the scientific program and accommodation are available on offical webpage. Oxford Global Conferences are proud to present the 5th Annual Biosimilars & Biobetters Congress co-located with the 11th Annual Proteins & Antibodies Congress and the 5th Annual Peptides Congress, taking place on the 16-17 April 2018 in London. Hosted by Katalin Egyed, International Oncology and Onco-biotechnology Business Unit Manager, EGIS Pharmaceuticals and Rafał Derlacz, Senior Project Manager, Polpharma. Can’t make the dates? Still register and a copy of the webinar recording will be sent to you. Our 5th Oxford meeting – Aptamers 2018 – will address therapeutic, diagnostic, analytical and basic research applications of aptamers and invites oral and poster abstracts from academic and industrial researchers. We particularly encourage final year doctoral students and early/mid career postdoctoral researchers/junior group leaders to submit oral abstracts, as we believe this event will provide their research excellent exposure, critical analysis by attending senior researchers and new career opportunities. Aptamers 2018 will be co-hosted with Oligo 2018 (10th April) – 4th symposium on antisense & therapeutic oligonucleotides (separate registration required). As an integral part of biological research, the field of bioinformatics brings forth innovative computational approaches leading to high-impact results in an increasingly data-dense environment. After a sold-out first edition in March 2016, this second edition will feature recent developments in bioinformatics research, and highlight the power of computational biology in the fields of medical, agricultural, and biotechnology research. Renowned speakers will present how bioinformatics is applied broadly in life sciences, and shed light on the future perspectives of their research. ​Conference attendees will have ample networking opportunities besides an exciting scientific program. Keep track of the news about ABLS by liking us on Facebook or following us on Twitter. In January, 2018, the 12th National Organic Chemistry Meeting (12ENQO) and the 5th National Medicinal Chemistry Meeting (5ENQT) will be taking place in Coimbra, Portugal. The Divisions of Organic Chemistry and Medicinal Chemistry of the Portuguese Chemical Society (SPQ) will be responsible for the organization of this scientific meeting. As in the previous edition of the Meeting, by bringing together, in a single event, authorities of these two important and complementary areas, new synergies are expected to arise. The interdisciplinary nature of this meeting will be reflected in an attractive program comprising Plenary Sessions, Invited Communications, Oral Communications and Poster Communications that will surely attract the interest of a vast audience. There will be plenty of time for casual discussions and exchanges of ideas among the participants. Coimbra is a beautiful historical city in the center of Portugal. UNESCO has granted the World Cultural Heritage label to the historical center of this city. In Coimbra, we can find one of the oldest and most prestigious universities in Europe, whose students bring life and multiculturalism to the city. It is filled with amazing places, magnificent monuments and many unique traditions. Coimbra is easy to reach from both Lisbon and Porto international airports, by train and bus. The 4th Global Synthetic Biology & Gene Editing Congress is one of 4 strands that make up the 4th 4BIO Summit. The other 4BIO strands are the 5th qPCR & Digital PCR Congress, 3rd Microfluidics Congress and new for 2017 the NGS Tech & Applications Congress. The summit has five tracks focusing on key issues such as optimising hit to lead quality and timescale, protein degradation, DNA Encoded libraries, GPCR’s, small molecule Immuno-oncology research, FBDD, SBDD, CADD as well as best strategies for partnerships, collaborations, outsourcing and integration of research. The Summit will provide a forum to network, learn and engage with senior representatives of leading pharmaceutical and biotech companies worldwide. For further information, click here: http://sciforum.net/conference/ecmc-3. Catalyzed by VIB’s Technology Scouting team, the Tools and Technologies meetings focus on the front end of innovation and bring together key innovators in selected life sciences research fields. The Next-Generation Antibodies and Protein Analysis conference is set to make another world class meeting, bringing together an exciting selection of top speakers and newly emerged companies. In addition to great scientific and technology program, the conference will provide ample networking opportunities. Oxford Global Conferences are proud to present the 15th Annual Pharmaceutical IT Congress co-located with our Artificial Intelligence in Drug Development Congress, taking place on the 27-28 September 2017 in London. 40 presentations and case studies focusing on the key developments in in Big Data and analytics, lab informatics, collaboration, digital health, wearable technologies, blockchain technology, lab automation and challenges in data privacy. 14 pre-scheduled one to one meetings, exhibition and informal networking opportunities. This event is co-located with our Artificial Intelligence in Drug Development Congress. Hosted by Jan Hauβ, Merck KGaA. Click here to register today, for free. Hosted by Christopher Hart, AstraZeneca and Nigel Hughes, Janssen Research and Development. The “Journée Franco-Belge de Pharmacochimie” is a recognized annual meeting on Medicinal Chemistry. This 31 edition will be held on the 14th and 15th of September in the beautiful city of Spa located in the heart of Belgium Ardennes. 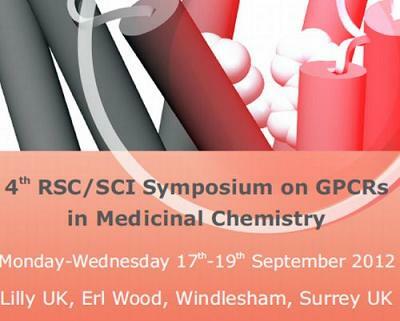 This two-day symposium aims to promote the meeting between medicinal chemists mainly from France and Belgium. The JFB are renowned for advanced science, conviviality, and outstanding opportunities for senior and young scientists to exchange knowledge. The scientific program will include one tutorial lecture and 4 plenary lectures by internationally recognized scientists. An important part of the program is devoted to open lectures (10 oral communications) giving the opportunity for young scientists to present their research. This year the official language for the lectures will be English. The deadline for the registration and the submission of abstracts is Monday 21th August 2017. 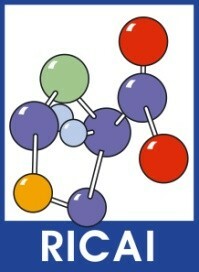 Welcome to the 18th International Conference on Biological Inorganic Chemistry - ICBIC18, to be held from July 31st to August 4th in Florianópolis, Brazil (www.icbic18.weebly.com). Florianópolis is the capital and second largest city of Santa Catarina state in the Southern region of Brazil. It is composed of one main island, the Island of Santa Catarina, a continental part and the surrounding small islands. The city is famous for its natural beauties and life quality – the best among all the Brazilian capitals. There are several beaches spread throughout the island and the continental part. Find other attractions to visit, such as lagoons, the historical center, Azorean districts, Portuguese forts, and the city postcard: the Bridge. Aptamers 2017 – the 4th annual meeting of the International Society on Aptamers – will bring together academic and industrial aptamer researchers and solution providers from across the globe. The symposium will address therapeutic, diagnostic, analytical as well as basic research applications of aptamers and invites oral and poster abstracts. We particularly encourage final year doctoral students and early/mid-career postdoctoral researchers/junior group leaders to submit oral abstracts, as we believe this event will provide their research an excellent exposure, critical analysis by attending senior researchers and new career opportunities. Please contact us on [email protected], or visit our website at http://libpubmedia.co.uk/aptamers-2017, should you require any further information. Aptamers 2017 will be co-hosted with our 3rd symposium on antisense and therapeutic oligonucleotides, Oligo 2017 Oxford (http://lpmhealthcare.com/oligo-2017-oxford), on 10th April. We very much look forward to welcoming you to Oxford in April. Pharmaceuticals is proud to organize and sponsor the Second International Electronic Conference on Medicinal Chemistry. Contributions dealing with any discipline promoting research in drug discovery and development will be welcome. It will allow you to present your recent results to the scientific community and to have the opportunity to start fruitful exchanges of information with academic and industrial groups from all over the world. Participation, as an author or a visitor, is free of charge. The fourth edition of the Conference on Innovation in Drug Delivery will be organized jointly by ADRITELF (Associazione Docenti Ricercatori Italiani di Tecnologia e Legislazione Farmaceutische), Italy, and APGI (International Society of Drug Delivery Sciences and Technology), France, in Antibes-Juan-les-Pins (France) from 25 to 28 September, 2016. The symposium topic will be “Site-Specific Drug Delivery”. It will consist in plenary and invited lectures as well as short oral presentations. The conference will also host an industrial exhibition as well as technical presentations, offered to the sponsors who would like to introduce their technology/methodology by an oral presentation. We invite you to attend the Modern Drug Discovery & Development Summit (M3D), which will take place September 13-16, 2016 in Boston, MA. The summit will bring together an exciting balance of industry and academia, so that delegates have the unique opportunity to network with colleagues from different sectors and gain fresh perspective on the various research and current developments in the field. For more informations, please visit the website. Protein kinase CK2 is a serine/threonine kinase which is highly conserved in evolution. Knock-out experiments have shown that this enzyme is absolutely necessary for cell viability. The enzyme is highly expressed in rapidly proliferating cells which goes along with an elevated enzyme activity. Protein kinase CK2 is involved in a broad range of signaling pathways regulating proliferation, differentiation, apoptosis or senescence. Recent advances towards the characterization of the three dimensional structure of protein kinase CK2 and its subunits will undoubtedly yield important new insights into its regulation and functions of CK2. Moreover, with two inhibitors of the enzyme in clinical trials phase II at current, human protein kinase CK2 appears as an emerging target for cancer diseases. In 1992 European bioinorganic chemists and biochemists decided to create the conference series EUROBIC (European Biological Inorganic Chemistry Conference) to bring together 300-400 participants for exchanging their latest results and different points of view in the field of metalloenzymes, metalloproteins, interactions of DNA with inorganic complexes, toxicology of metal ions, medicinal use of metal complexes, etc. EUROBIC and ICBIC (International Conference on Biological Inorganic Chemistry), both biennially meetings, are the classical conferences to obtain top-level information int he field of biological inorganic chemistry. The first Conference was held in Newcastle in 1992, while the venue of the previous Conferences are Wroclaw 2006, Thessaloniki 2008, Barcelona 2010, Granada 2012, Zurich 2014. We line up into this illustrious series. Budapest organises the EUROBIC13 in 2016. The scientific program will include invited plenary (8), keynote and session lectures (25-30) and contributed papers (40) and posters. The following topics will be covered: Biocoordination chemistry: complexes of peptides, nucleotides and relatides ligands, Bioinorganic Chemistry and Nanotechnology; Biomineralization; Metals in medicine; Metal in the Environment; Metabolism of Metal ions; Metal ion sensing in Biology, Metalloproteins; Metals in the Brain; Metal ion interactions with nucleic acids; Spectroscopy and diffraction, Other topics. We look forward to meeting you in Budapest in 2016. The “France-Belgium meeting of Pharmacochemistry” is a recognized annual meeting on Medicinal Chemistry. This 30th edition will be held on the 25th to the 27th of May in the beautiful city of Amboise located in the “Centre – Val de Loire” Region of France. This symposium aims to promoting the meeting between medicinal chemists mainly from France and Belgium. The JFB are renowned for advanced science, conviviality, and outstanding opportunities for senior and young scientists to exchange knowledge. The scientific program will include one “Grand Public” conference, one opening conference and 7 plenary lectures by internationally recognized scientists. Industrial and academic scientists will give talks mainly in imaging (TEP), oncology and CNS disorders topics. An important part of the program is devoted to open lectures (11 oral communications) giving the opportunity for young scientists to present their research. The official language for the oral communications will be English. The deadline for the registration is April 15, 2016 - The dead line for abstracts submission is May 1, 2016. We invite you to attend the European Pharma Summit 2016, which will take place on May 11-13, 2016 in Berlin, Germany. This event seeks to create a forum for colleagues across multiple disciplines, as well as from both private and public sectors, to gather and exchange ideas. Delegates from pharmaceutical organizations, biotech companies, and leading academic institutions will gather over the course of four days to listen to presentations on the hottest topics in drug discovery and network with both new and old colleagues. For 35 years, the RICAI has been the largest European French-language congress in the field of global anti-infective therapy. This meeting brings together about 1,500 members of the community of infectious diseases, both researchers and clinicians and a large range of medical professionals. Infection Chemotherapy: where the focus is on the drug and its action on the microbes (bacteria, fungus, virus or vibrio), as opposed to focusing on patient care for example. Interdisciplinary: the concept of the congress is to provide the opportunity for communication and exchange of ideas between laboratories and therapists, and fundamentalists and clinicians. The RICAI congress annually gathers free papers, providing plenary lectures, symposia and other thematic sessions, aimed at promoting exchange, meetings and information in the clinical microbiology, infectious diseases and anti-infective chemotherapy domains. Depuis 35 ans, la RICAI est le plus important congrès européen de langue française dans le domaine de la thérapeutique anti-infectieuse globale. Cette réunion rassemble environ 1500 membres de la communauté de l’infectiologie, tant des chercheurs que des cliniciens et des personnalités appartenant aux structures réglementaires d’enregistrement. Chimiothérapie anti-infectieuse : le focus est mis sur le médicament et son action sur le microbe (bactérie, mycose, vibrion ou virus), par opposition à un focus sur la prise en charge du patient par exemple. La RICAI alterne chaque année communications libres, conférences plénières, symposia et autres sessions à thèmes, ayant pour but de favoriser rencontres, échanges et informations dans les domaines de la microbiologie clinique, de l'infectiologie et de la chimiothérapie anti-infectieuse. The Organic and Medicinal Chemistry divisions of the Portuguese Chemical Society (SPQ) are honoured to invite you to participate in their joint meeting next December (1st – 3rd) in Porto, Portugal. For the first time under the auspices of SPQ, the competences of these two important fields of Chemistry are brought together into a single event, to highlight complementarities and to promote new synergies. Pharmaceuticals is proud to organize and sponsor the first International Electronic Conference on Medicinal Chemistry. Contributions dealing with any discipline promoting research in drug discovery and development will be welcome. It will allow you to present your recent results to the scientific community and to have the opportunity to start fruitful exchanges of information with academic and industrial groups from all over the world. Participation, as an author or a visitor, is free of charge. This Annual Meeting of the International Cytokine and Interferon Society provides an outstanding forum for investigators in basic science and clinical research to present their most recent findings on the role of cytokines in infectious diseases, inflammation, cancer, autoimmunity and novel therapeutic interventions. The 2015 BBBB Conference will offer a versatile scientific program, in order to attract scientists from all fields of pharmaceutical sciences. Like its predecessors, the conference will offer opportunities to exchange scientific ideas and create networks between people from academia, industry and regulatory authorities as well as between young and established scientists and professionals. The program consists of lectures from well-known experts in different areas of pharmaceutical science but there is also a special emphasis to give younger researchers an opportunity to present their research in an international environment. "Groupement des Pharmacochimistes de l'Arc Atlantique" (GP2A) or Group of Medicinal Chemists of the Atlantic Arc is a study group on research and teaching in Medicinal Chemistry, which was created in 1992. It gathers medicinal chemists, mainly working in Faculties of Pharmacy and located in the different regions of the Atlantic Arc in the United Kingdom, France, Spain and Portugal. 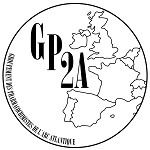 More recently, this grouping has welcomed new members who do not belong stricto sensu to this area (such as Lille, Saarbrucken, Düsseldorf), in the framework of the GP2A network. This Grouping constitutes a focus for the exchange of ideas among scientists (including undergraduates) interested in basic research in medicinal chemistry but also in special areas of research in drug design, including combinatorial chemistry, quantitative structure-activity relationships and molecular modelling. GP2A gives an opportunity, especially to young scientists, to strengthen and extend their collaboration and exchange programs. The circle is open to external participation and is mainly constituted on the basis of previously existing bilateral co-operations between various laboratories. At the instigation of the starting core, it was decided to hold a scientific meeting each year in the shape of the GP2A Conferences. Every year, besides senior lecturing, the GP2A organisers wish to devote a large number of the conferences to short student oral presentations. It is our pleasure and privilege to cordially invite you to the 1st European Conference on Therapeutic Targets and Medicinal Chemistry (TTMC). This conference will combine the 23rd conference of GP2A with the 3rd conference of ChemBioInteractions. The major topics are anticancer drugs, new targets, protein-protein interaction inhibitors and novel tools. Besides being a forum for intense discussion and scientific exchange, the major aim of the conference is to provide a platform for young scientists to present their research. Beside lectures of senior speakers and junior speakers, there will be sessions for flash presentation of contributions from young scientists. We strongly encourage the submission of abstracts for posters and oral presentations by PhD students and young Post-Docs. There will be awards for both, oral and poster presentations. GTCbio’s Molecular Diagnostics Summit will take place on June 11-12 in San Diego, CA. The summit is comprised of 4 parallel conferences: Cancer Markers & Circulating Tumor Cells, Pathology Diagnostics, Companion Diagnostics, and Point of Care Diagnostics. The “Journée Franco-Belge de Pharmacochimie” is a recognized annual meeting on Medicinal Chemistry. This 29th edition will be held on the 4th and 5th of June in the beautiful city of Spa located in the heart of Belgium Ardennes. GTCbio’s Pan-Omics Summit will take place on May 21-22 in Boston, MA. The summit is comprised of 4 parallel conferences: 5th Next Generation Sequencing, 2nd Metabolomics - Advances & Applications in Human Disease, Epigenomics & Novel Therapeutic Targets, and Functional Genomics. GTCbio’s Diabetes Summit 2015 will take place on April 27-29 in Boston, MA. The summit includes two parallel conferences: 5th Diabetes Partnering & Deal-Making, and 8th Diabetes Drug Discovery & Development. GTCbio’s Stem Cell Summit 2015 will take place on April 27-29 in Boston, MA. The summit includes two parallel conferences, 12th Stem Cell Research & Regenerative Medicine, and 4th Stem Cell Product Development & Commercialization. GTCbio’s 7th Ocular Diseases Drug Discovery will take place on March 19-20 in San Diego, CA.The conference will discuss combating and curing age-related macular degeneration (AMD), diabetic retinopathy, glaucoma, diabetic macular edema (DME), and other ocular diseases. GTCbio’s Biomarker Summit 2015 will take place on March 18-20 in San Diego, CA. The summit includes three parallel conferences: 8th Oncology Biomarkers, 4th Neurological Biomarkers, and 4th Inflammatory & Immunological Biomarkers. GTCbio’s Catalyses in Drug Discovery Summit will take place on February 26-27 in San Diego, CA. The summit includes three parallel conferences: 5th Ubiquitin Research and Drug Discovery, Enzymes in Drug Discovery, and Protease Inhibitors in Drug Discovery. GTCbio’s Novel Immunotherapeutics Summit will take place on January 29-30 in San Diego, CA. The summit includes three parallel conferences:13th Cytokines & Inflammation, 7th Immunotherapeutics & Immunomonitoring, and 3rd Immunogenicity and Immunotoxicity. 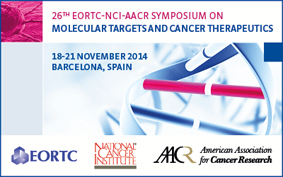 Hosted by the European Organisation for Research and Treatment of Cancer (EORTC), the National Cancer Institute (NCI) and the American Association for Cancer Research (AACR), the 2014 Symposium will bring together around 2000 academics, scientists and pharmaceutical industry representatives from across the globe to discuss innovations in drug development, target selection and the impact of new discoveries in molecular biology. This conference, by bringing together researchers from industry and academia, will be showcasing and demonstrating how the latest R&D in particulate processing can be applied to pharmaceutical industrial design and optimisation as well as how they can cater to emerging regulatory needs. A combination of oral presentations, poster sessions, and workshops will demonstrate the existing expertise and establish future research needs. The Society for Medicinal Plant and Natural Product Research (GA) invites all scientists from academia and industry dealing with natural products, medicinal plants and phytotherapy, to this congress. GA2014 is a forum for the presentation and discussion of the latest research in the fields of phytochemistry, analytics, pharmacology and clinical applications. The conference will provide a platform for networking between academia and industry. This meeting, the second in this ECI series, will focus on bringing together a wide range of multi-disciplinary groups from academia and industry with a view to discussing key challenges, recent developments, and future trends in characterization of biological complex fluids with a specific focus on the Biotherapeutics & Foods industrial sectors. The IUPHAR world congresses foster basic and clinical pharmacological sciences. As it is the first time this event will be held on the African continent, the organising committee is excited to bring a uniquely African experience to this global event. We have no doubt that the opportunity to connect with world leaders in pharmacology, industry and thought leaders in a memorable location defines WCP2014 as an event of scientific excellence not to be missed. This unique international conference will provide a platform for all pharmaceutical scientists, internists and primary care physicians to discuss important international breakthroughs in drug discovery and new therapeutics. Senior executives and industry thought leaders from Pfizer, Roche, Sanofi, GlaxoSmithKline, Bristol-Myers Squibb, AbbVie, AstraZeneca and many more will participate in this year’s program with inspiring discussions on the future role of medicinal chemistry and its contribution to improved drug discovery rates. Join leading pharmaceutical scientists from around the world to discuss cutting edge research and up-and-coming developments under the theme ‘Pharmaceutical Sciences beyond 2020 – The rise of a new era in healthcare’. Where will the pharmaceutical sciences be beyond 2020? What should be our f0cus? What will be the break-throughs and the pitfalls? How can we meet the biggest challenges? G-protein-coupled receptors (GPCRs) play a crucial role in transmitting chemical signals across cell membranes and converting them into cellular responses. As such, they are involved in many diseases and continue to represent the target of a large proportion of all modern medicinal drugs. Building on the success of the previous three meetings, the latest meeting in this series was supported by Lilly UK. The 14th International Symposium on Marine Natural Products and the 8th European Congress on Marine Natural Products 2013 is going to be held on the Island of La Toja, Galicia, Spain between the 15th and 20th of September, 2013 and is organised by PharmaMar. You are invited to present your recent work and ideas covering all areas related to marine natural products research. Abstracts and/or posters should be submitted no later than the 31th of May, 2013. Every year, FIP organises the World Congress of Pharmacy and Pharmaceutical Sciences, where thousands of pharmacists meet, learn, share and exchange views. Lectures, plenary sessions, poster exhibitions and section programmes, together with Council meetings and the Leadership Conference make this event the premier international event in pharmacy each year. The annual Congress also serves the Young Pharmacists Group with specially planned sessions and workshops focussed on current issues facing this unique segment of the profession. The past few years have witnessed an increased pace of reports on different G protein coupled receptors or GPCR-ligand pairs whose crystal structures have been elucidated. How can this new structural information be harnessed for drug development against one of the most medically important but difficult to work with class of targets? This inaugural day and a half meeting will bring together computational, crystallographic modelers and medicinal chemists to learn and share how these advances are affecting the optimization of compounds that target GPCRs. Cambridge Healthtech Institute's conference on Protein-Protein Interactions has established itself as a successful and well attended event year after year. Now in its sixth year, this conference is addressing current challenges in PPI such as interaction with binding sites, modulation of PPI, predicting PPI modes and what can be done to target PPI successfully. Peptide therapeutics are making a come-back due to chemical advances that have created new sorts of peptide-based structures that not only combine the best of both, small molecule and antibody drug candidates, but also have unique advantages. Like small molecule compounds, these new peptide derivatives are small enough (under 5 kilodaltons) to be developed into oral therapeutics, but they have the advantage of being large enough to disrupt protein-protein interactions, making them more useful against intracellular targets. This new class of peptides also has the specificity of larger proteins, such as monoclonal antibodies, but without the stability issues. This day and a half meeting will explore the chemistry and drug development advances behind this promising middle space of compounds that are slightly larger than 'small molecules' but smaller than 'biologics'. CHI's Anti-Inflammatories: Small Molecule Approaches continues to be the ONLY meeting in the inflammation field that focuses on the discovery and development of oral or small-molecule based drug candidates. Anti-body based therapies, while effective and safe, are costly and harder to administer than an oral pill. With the JAK inhibitors progressing in the clinic and one recently approved by the FDA, the promise of a new anti-inflammatory as good as the non-steroidal anti-inflammatories (NSAIDS) but without the gastric side effects, is tangible. Other oral anti-inflammatory drug candidates are on the horizon as well. This year's meeting will provide an update and highlight the medicinal chemistry optimizations that are allowing kinase inhibitor candidates to advance in clinical trials. Non-kinase targets will be a focus as well. This one-day symposium will bring together medicinal chemists who discover and develop new antiviral therapies. With the world becoming a smaller place, viral infections once contained to specific areas are now more wide-spread, increasing the need for novel therapies to combat once-rare viral infections. Thus, in addition to following the promising progress of new all-oral combination therapies to combat viral drug resistance for HIV and HCV, the meeting will also focus on treatments for human-targeted viruses that represent emerging unmet medical needs. The optimization of physical properties of a compound is fundamental to the drug discovery process, mainly due to their influence on absorption and distribution in vivo. They provide insight into the in vivo transport processes and knowing the properties will help with choosing the optimal compounds for the task. It saves costs and time, when compounds are being properly analyzed in the design stage before they are moving into development, as it is important to consider questions such as how hydrophobicity will affect the solubility of a drug down the line or how the charge of the compound interacts with the absorption by a transport mechanism. Also, the use of predictive models is important, but again, without consideration of the actual physical chemical property of the new compound, the analyses will be based on a different set of data. This one-day symposium will discuss what it takes to create selective and efficacious compounds and to understand the biological data by analyzing the physicochemical properties early on. Track 9 will showcase collaborations that address the challenge of information integration and standardization for drug discovery, recent researches on pharmacogenomics through the integration of clinical genomics information system with electronic medical records, in order to advance human health through genomics research. Novel informatics approaches in drug discovery, in areas such as tissue-specific mutations and epigenetics will also be examined. The	Drug Discovery for Neurodegeneration conference advances drug discovery for neurodegenerative diseases by educating scientists on the process of translating basic research into novel therapies. The II International Conference on Antimicrobial Research (ICAR2012) will be a forum for the presentation, exchange and dissemination of information and experiences on anti-microbe strategies, in biotic or abiotic environments, in planktonic or adhered states, in biologically specific or unespecific ways, in vitro or in vivo, in a general context marked by the threat posed by the increasing antimicrobial resistance of pathogenic microorganisms. “Anti” is here taken in a wide sense as “against cell cycle, adhesion, or communication”, when harmful for the human health, industry or economy (infectious diseases, chemotherapy, food, biomedicine, agriculture, livestock, biotechnology, water systems...). It will cover topics on antimicrobial resistance, (early) microbial and resistance detection, enhancement of innate defences against pathogens, as well as methods & techniques. International Conference and Exhibition on Computer Aided Drug Design & QSAR is a remarkable event which brings together a unique and International mix of large and medium biotech and diagnostics companies, leading universities and drug designing institutions making the conference a perfect platform to share experience, foster collaborations across industry and academia and evaluate emerging technologies across the globe. The International Conference and Exhibition on Computer Aided Drug Design & QSAR will schedule and coordinate all meetings with our Editorial Board Members and other experts in the Computational studies & Drug Design field across the World. The Scientific Program paves a way to gather visionaries through the research talks and presentations and put forward many thought provoking strategies in Computer Aided Drug Design & QSAR. PDA's 7th Annual Global Conference on Pharmaceutical Microbiology will bring together all levels of industry professionals to network and benefit from a program that reveals the essential science of microbiology and seeks to solve the problems that our industry faces on a daily basis. The comprehensive program agenda will include presentations from regulatory and industry representatives from around the world who will share recent case studies, current and future trends in the field of pharmaceutical microbiology. Delivery Strategies blends practical solutions related to the development of high dose drug products and drug/device combinations with forward looking information on novel delivery approaches for biotherapeutics. 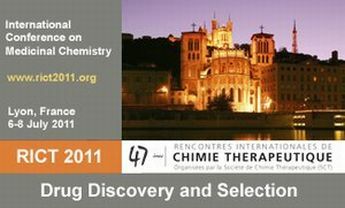 Welcome to the 2012 MipTec - the premier European Drug Discovery Event! This year, MipTec will again take place at the Congress Center Basel, providing a focal point for the Scientific Sessions, User Group Meetings, and, of course, the vendor show. The meeting will continue its focus on drug discovery, and also add a new scientific session on Synthetic Biology. We are also pleased that MipTec will continue to host User Group Meetings, on both new and returning topics. Because our participants are committed to staying at the frontier of drug discovery knowledge and application, this year we have also arranged the session to enable attendance at both the MipTec chemistry session, and the EMBL Chemical Biology Meeting. The Central European Symposium on Pharmaceutical Technology is one of Europe’s finest pharmaceutical events. In 2012 the CESPT Symposium will once again provide an exclusive and personal forum by bringing together dedicated members and foster intellectual exchange on cutting-edge topics in pharmaceutical technology. With the increase of biomarkers application since the beginning of the 21st century, we are now not only seeing a great potential in improving the efficiency and safety of drug development, but we are also coming across some barriers which may slow these processes down. To answer the challenges connected with utilization of biomarkers, we bring together the pharmaceutical minds along with representatives from academia, research institutions and non-profit organizations. Two focused conference days offer case studies exploiting the best practices inaccelerating the identification of biomarkers, cutting the costs of attrition of compounds, reducing the size, cost and duration of clinical trials as well as the possibility of adverse events. Central Nervous System-2012 is a remarkable event which brings together all the leading universities, Central Nervous System researchers as well as institutions, making the conference a perfect platform to share experiences, foster collaborations across industry and academia and also evaluate emerging technologies across the globe. International Conference on Central Nervous System - Drugs Effects, Novel Drug Development will schedule and coordinate all meetings with our Editorial Board Members and other experts in the Research of Central Nervous System across the world. The scientific program paves a way to gather visionaries through the research talks and presentations and put forward many thought provoking strategies. Dendrimers are monodisperse polymeric material with branched architecture. Over the last few decades dendrimers have developed into one on the most promising research area of the modern natural sciences. Dendrimers have enormous potential for medical applications. The first Biodendrimer symposium was organised by Dra. Bryszewka and Dra. Klajnert in Lodz, Poland (2008); followed by Dra. Peng and Dr. Majoral in Porquerolles Island, France (2010). The Biodendrimer symposium, which will be held in Toledo (Spain) from 5th to 7th of September 2012, will be co-organised together with the second COST conference on “Biological Applications of Dendrimers” (Action COST TD-0802) whose Management Committee meeting will be held in the same venue on 8th of September. The aim of this Biennial International Symposium on dendrimers is to bring together the research and industrial groups working on biological and medical applications of dendrimers both at the European and international levels, to present and discuss the recent developments in this scientific field and to promote fruitful collaborations among the different groups. The symposium is organised around a strong scientific programme based on plenary lectures and oral communications with sufficient breaks and social gatherings to provide for collaborative networking opportunities, including a welcome reception, poster sessions, coffee breaks, and poster prizes. Molecular modelling and simulation Novel drugable targets: Identification and selection Fragment binding and selectivity Structure-based inhibitor design Ligand design and identification Target-ligand interaction (including proteins and nucleic acids) In silico and experimental screening technologies. The 2012 Gordon Conference on Drug Carriers in Medicine and Biology is a well established forum with three decades of history, focused on the principles and means for improvement of pharmacotherapy and diagnostics of human maladies employing advanced drug delivery systems. It will bring together an exciting multi-disciplinary group of prominent academic and pharmaceutical/biotechnology researchers working to develop and implement such new medical and experimental interventions. The conference will feature integrated sessions that bring together cutting-edge advances in intracellular drug delivery, biotherapeutics including protein and nucleic acid drugs, nanotechnology and nanomedicine, polymer- lipid- and cell-based carriers, carriers for targeted therapeutics, vascular and CNS targeting, vaccine delivery. Themes to be explored include molecular and cellular targets for drug delivery and action, siRNA and other nucleic acid therapeutic and delivery platforms, drug transport across biological and cellular barriers, defining biological factors modulating drug delivery and effects and enabling experimental and translational approaches for pre-clinical and clinical development. The conference provides a dynamic, diverse and collegial environment for collaboratively identifying current barriers and interdisciplinary solutions to pressing medical needs, and facilitates the informal mixing of an international group of researchers, junior and senior scientists, as well as academic, industrial and regulatory viewpoints. The conference is also noted for its lively poster sessions and selected short talks from poster presenters. The wonderful resort setting at the Waterville Valley Resort will provide many opportunities for informal discussions and outdoor recreation activities as part of the conference registration. We recommend early application to the Drug Carriers in Medicine and Biology GRC as attendance is limited, and welcome applications from junior scientists to attend and present their research findings. A number of travel awards will be made based on submitted poster abstracts. Epigenetics focuses on environmental, nutritional and (bio)chemical factors influencing gene expression, in the absence of changes in DNA sequence. This training school is proposed to young and confirmed scientists wanting to increase their knowledge in this field. For scientists already involved in epigenetics, this is an opportunity to acquire knowledge on other scientific strategies developed to unravel the functional impact of epigenetic mechanisms. The workshop will include presentations on: design of inhibitors to epigenetic targets, methods for measuring epigenetic activities, epigenetic protein interactions and functional impact of epigenetic modifications. IPC2012 is the oncoming event of the successful conference series focusing on probiotics in 2000, 2004, 2008, 2010 and 2011. The scientific programme will focus on current advances in the research, production and use of probiotics and prebiotics with particular focus on their role in maintaining health and preventing diseases. The conference's goal is to provide a scientific forum for all stakeholders of probiotics and prebiotics and enable the interactive exchange of state-of-the-art knowledge. The conference will focus on evidence-based benefits proven in clinical trials and scientific experiments. The comprehensive scientific program covers many important and current aspects of the pharmaceutical sciences and pharmaceutical industry. Invited lectures will be given by famous lecturers and leading scientists from Universities, industry and regulatory authorities. ISOPP symposia are prestigious biennial educational events that bring together oncology pharmacy practitioners, and other interested personnel, from all over the world. The program for ISOPP XIII is designed to stimulate debate and discussion, increasing delegates’ knowledge to both improve an individual’s cancer care journey and the safe working conditions of people preparing cytotoxic treatments. The scientific program will include sessions on recent advances in oncology/haematology therapeutics, new investigational drugs, safety issues, and innovative concepts, trends and technologies that will improve patient care. An important part of any ISOPP Symposium is the opportunity for delegates to network and exchange information during the breaks and at the social functions and this symposium will be no different. RECOMB is a well-established scientific conference bridging the computational, mathematical, and biological sciences. The conference features keynote talks by preeminent scientists in the life sciences, together with presentations of refereed research papers in computational biology. This symposium will be of interest to analytical, pharmaceutical and regulatory scientists involved in pharmaceutical research, development and manufacturing. It will be of particular interest to scientists and managers engaged in analytical development or quality control, where advances in analytical technologies and practices can enhance productivity, problem-solving or quality-by-design capabilities. The development of medicines is posing not only major challenges to research, development and manufacturing but also to all aspects related to the safety of products from quality control to regulatory affairs. APGI (French “Association de Pharmacie Galénique Industrielle”), APV (German “International Association for Pharmaceutical Technology”) and A.D.R.I.T.E.L.F. (Italian “Associazione Docenti Ricercatori Italiani di Tecnologie e Legislazione Farmaceutiche”) invite you to discuss the risks, opportunities and challenges of this development. This international symposium follows on from the RSC Symposium on Continuous Flow Technology held at ChemspecEurope 2011 in Geneva. The production of speciality chemicals is still heavily reliant on batch processes, particularly in the pharmaceutical sector, and this symposium will highlight recent developments focussed on the growth of continuous processes in the fine chemicals and pharma industries. All the speakers are experts in their field and the presentations will be grouped into two sessions on Chemistry with Flow, two sessions on Equipping for Flow, and the final day will be devoted to three sessions on Processing with Flow. Specialised techniques, low temperature work, use of microwaves, hazardous chemistry etc., scale up, process optimisation, and production will be featured. The aim of this BICB conference is to provide a platform for communication among top notch researchers, practitioners, and students from around the world in different fields of computer science, computer engineering, applied computing and computational biology to discuss the latest advances in the development of computing techniques and their application to life sciences. The conference will feature original research in all areas of bio-informatics and computational biology, and covering the entire spectrum of underlying computational techniques in topics such as genome analysis sequence analysis, phylogenetics, analysis of high-throughput biological data, systems genetics, population analysis, as well as structural bioinformatics. This conference will bring together leading researchers investigating computational chemistry and biology techniques as applied to advancing our ability to predict, diagnose and modulate human disease. This broad and multidisciplinary meeting will explore the major challenges in drug discovery and development where innovation in computational approaches and tools can really make a significant and tangible contribution towards novel treatments. You should attend this conference if you are a researcher interested in drug discovery, or developing or using computational approaches to the development of therapeutics, or if you are a key decision maker in a pharmaceutical or biotechnology company. Particular emphasis will be placed on establishing and distinguishing among what is being accomplished now based on marketed products and what is feasible based on drugs and devices and combinations thereof in clinical and preclinical development. Emerging nanotherapeutics and nanodevices based on early preclinical data will be included in the discussion. At BAMP2012 leading scientists from industry and academia will present and discuss current advances in the research of bacteriocins and antimicrobial peptides. Key themes will be isolation, characterization, mechanism-of-action, food, clinical and veterinary applications of novel or already characterized bacteriocins produced by lactic or non-lactic acid bacteria. The European Antibody Congress is the world’s leading conference addressing critical scientific issues and strategic industry challenges associated with therapeutic mAb development. Showcasing major antibody structural improvements, global trends, recent intra-market authorisation and clinical progress, this event sees unrivalled industry participation. Hear, learn, debate and act on the most critical scientific and business opportunities in the antibody sector. The 250+ audience is primarily made up of Pharmaceutical companies and Biotechs. Supporting their projects, Technology Providers, CROs, CMOs and Researchers also attend. Over 50 leading scientists from Big Pharma and specialised biotech companies will share their expertise and groundbreaking conclusions throughout three jampacked days. Speakers include: Merrimack Pharmaceuticals Inc, Schering Pharma AG, Lonza Custom Manufacturing, Wilex AG, Eli Lilly and Company, GenMab, Morphotek Inc, University of Zurich, Tufts Centre for the Study of Drug Development and mAbs journal, Ablynx, Kenta Biotech AG, Pfizer Global Biologics, CBER/FDA, Protagen AG, MedImmune, Roche Glycart AG, Icosagen Cell Factory OU, Johnson & Johnson, Fresenius Kabi, Bayer, Genentech, Inc, Centre d'Immunology and Vaccinex. The world nanomedicine market is suggested to surpass $160 Billion by the year 2015. This huge market demand has provided unprecedented space for innovators and industrial developmers to push the limit of Nanotechnology fully applied for diversified medical fields as many as possible. This congress including six parallel scientific symposia will energize your great passions to showcase the most recently breaking research, discovery and industrial milestones in Nanomedicinal R & D and Business development. As a co-current meeting to BIT’s 9th Drug Discovery Congress, i.e. IDDST-2011, and the 1st Drug Delivery System Congress, this year Nanomedicine congress will offer you huge opportunities for catching the fast growing market trend and collaborative business potential through the dynamic scientific and social activities along the events with our colleagues. As a continuation of the successful 1st PCMDDD, this Conference aims to further strengthen the communication and cooperation among scientists and experts working in academic institutions or industry. The intention of the Organizing committee is to provide an opportunity for the organizers, sponsors and world scientific community closely related to pharmaceutical research, to come together and present their original work, share experiences and problems in warm and stimulating atmosphere. More specifically, the aim of the Conference is to address the most advanced directions and new achievements in physical chemistry methods applied to the research processes in drug discovery and pharmaceutical development. Topics covered in the conference program include separation techniques, methods of spectroscopy and microscopy, thermal analysis and physico-chemical profiling including dissolution and permeability. However, this list is by no means exhaustive. A diverse, well-balanced scientific programme is planned. The participants are encouraged to submit their abstracts either for Oral presentation or Poster exhibition. Pleanary lectures will be delivered by prominent and highly respected professionals selected for their past credentials and their distinctive vision of the future. In addition, a few courses and workshops will be organized for those willing to acquire a comprehensive overview of the specific field of application in particular physico-chemical technique. We are looking forward to welcoming you in Zadar. An international, residential meeting at historic Queens' College in the heart of Cambridge with on-site accommodation and excellent auditorium, poster and exhibition areas. This is the 6th in a popular conference series going back to 1981 that brings together nucleic acids scientists across a broad area but with particular emphasis on chemistry and biochemistry. On behalf of the Organising Committee of the 23rd International Congress on Heterocyclic Chemistry (ICHC-23), the International Society of Heterocyclic Chemistry (ISHC), and the Universities of Strathclyde and Glasgow, I extend a warm welcome to you to take part in ICHC-23 in Glasgow in 2011. The Congress will be held at the Scottish Exhibition and Conference Centre (SECC) on the banks of the river Clyde in Glasgow, Scotland between 31 July and 4 August 2011. 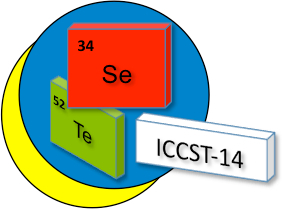 In conjunction with our International Advisory Committee we plan to have an exciting range of cutting edge heterocyclic chemistry on offer to reflect recent advances in a truly international coverage. At this stage we envisage five main themes of heterocyclic chemistry: synthetic methodology, natural product and complex molecule synthesis, materials, medicinal chemistry and nanochemistry. The 76th Prague Meetings on Macromolecules: Polymers in Medicine will focus on the latest innovative development in drug delivery systems. Meeting brings together multi-disciplinary researchers from both academia and industry in the areas of pharmaceutics, polymer and materials science, imaging, cell and molecular biology, genetic, and medicine. 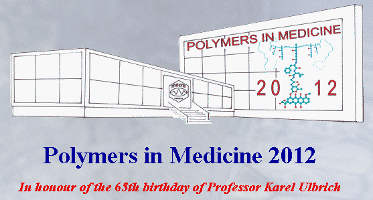 Prague Meetings on Macromolecules: Polymers in Medicine 2012 will be dedicated to Professor Karel Ulbrich (Prague, Czech Republic), a leading scientist in the field of polymer drug delivery in the Czech Republic. The polymer conjugates of doxorubicin based on N-(2-hydroxypropyl)metharylamide copolymers, known a PK1 and PK2, developed in cooperation of Institute of Macromolecular Chemistry and University of Keele were the first polymer drug conjugates entering the clinical trial. Prof. Ulbrich as scientist, teacher, academic visionary and entrepreneur tirelessly worked for internationalization of the field of drug delivery systems. The Pharmaceutical industry is experiencing declining productivity and success rates. To stay competitive companies are both increasing collaborations and re-evaluating their drug discovery strategies in order to reduce attrition rates at later stages. Various research and decision making tools such as enabling technologies, biomarkers, and drug design are being enabled at different stages of the discovery process in order to revitalise efficiency and yield. Linking data produced during development stages back into discovery to produce translational and personlised medicine is also being utilised to bridge the gap between discovery and development. R&D STRATEGIES & BUSINESS MODELS– Challenges and strategies to enhance productivity in drug discovery such as open innovation, innovative collaboration models, stratification population strategies, addressing undruggable targets, early alliances & risk sharing portfolios and the assessment of drug discovery in a changing world. MEDICINAL CHEMISTRY / DRUG DESIGN – DNA Encoded libraries, fragment based design, outsourcing, knowledge based drug design, natural compounds and analysis into how biophysical methods support drug disocvery. BIOLOGICS – Strategies to integrate biologics into classical R&D models, presentations focused on the expansion into peptides, stapled peptides, soluble T cell receptors and the resurgence in antisense drugs. ENABLING TECHNOLOGIES– Analysis of different technologies and their potential to benefit drug discovery such as antibodies, epigenetics, siRNA, RNAi, MicroRNA and constructing signalling pathways. BIOINFORMATICS & DATA MANAGEMENT – Applications of Bioinformatics in discovery, focusing on uses of systems biology to find new targets, making models to make data more relevant to man and knowledge management tools. SCREENING TECHNIQUES & ASSAY DEVELOPMENT – Improving value from HTS, potential of novel screening technologies, label free, disruptive technologies, potential of pluripotent stems cells Plus IMI Open Pharmacological Space Project. In 2010 over 485+ delegates came to the 10th annual World Vaccine Congress Washington! In 2011 you will have the opportunity to hear from North America’s leading governmental stakeholders, business leaders and scientific stakeholders as they continue to enhance the scientific and strategic innovation behind a burgeoning vaccine industry. These are the true visionaries of the vaccine industry revolution. A pioneer-studded faculty of over 135+ speakers including public health and regulatory bodies, large pharmaceuticals, biotechs, academia, NGOs, astute investors and respected visionaries who inspire industry imagination and achievement will greet the 2011 delegation. Drug Discovery World Asia 2011 is Asia's only event for scientists, biological R&D executives and principle investigators. This two-day conference boasts of a strategic content-driven programme and numerous networking sessions. Drug Discovery World Asia 2011 focuses on the strategies in fast tracking life science research and drug discovery through innovative technologies and methodologies. Drug Discovery World Asia 2011 will present to you successful case studies and expertise of over 30 leading companies. These companies have achieved efficient research and drug discovery systems through innovative technologies. 20 January 2011 Antibiotics 2011 - Where Now? As we are ever more acutely aware of the threats of antibiotic-resistant superbugs such as MRSA and C. difficile it has become more widely accepted that new drugs are needed which act upon new microbial targets. However, the cost to pharma of developing a new antibiotic - which could be rendered useless before the investment in its discovery has been recouped - has meant that many companies have no new drugs in the pipeline and more worryingly, have no active research in the area. This timely, focused meeting builds upon the highly successful event in 2008 attended by over 170 delegates. It brings together international experts from big pharma, spin-out start ups, academics and national reference laboratories to provide an over-arching view of the field. The conference aims to bring together scientists and clinicians from a range of sectors including the pharmaceutical industry, the NHS, academia, charities and funding councils. It is hoped that this meeting will be a focal point to discuss the critical issues that underpin the future of antibiotics; the clinical impact of hospital acquired infection; the development of new classes of antibacterials, the identification of novel targets and the solutions to the scientific and commercial obstacles to antibiotic research. How to move from Blockbuster to Nichebuster Translational and personalized medicine have always been a part of biomedical and pharmaceutical research but we have now reached an area where they have become essential for staying competitive. What you’ll take away from this meeting: Discuss the roadmap of personalized medicine and how to make it work in your corporation. Discover the value and practical solutions for biomarkers in translational medicine. Find best ways for biomarker implementation in pre-clinical and clinical trails. What are the partnering options to make things happen? What is required from the business and regulatory side to make it work? Find successful organizational collaborations for the development of drug dependent biomarkers and make your drugs personal. At Visiongain’s CNS Clinical Trials conference you will examine the strategies offering the greatest potential for success in CNS drug development, and understand the specific challenges currently faced by developers in this market. In order to enhance productivity in this field, there has been an increased awareness of the need to align clinical and preclinical research to facilitate rapid development of new CNS drug therapies. Medical imaging is increasingly being used as a surrogate endpoint or biomarker of drug efficacy in all phases of CNS trials, enabling CNS developers to make more timely decisions. As part of this 2-day event, leading industry and academic authorities will address how to balance risk and how attrition can be reduced to increase the chances of success in CNS clinical trials. Participants will look at overcoming some of the hurdles arising in designing, managing and recruiting for CNS clinical trials, and examine the tools and technologies to best enhance clinical development. Workshop groups will study problems with hands-on examples using computational drug discovery methods and discuss issues highlighted by examples and Case Studies presented by instructors. A Case Study set with a focus on Kinases will be used to link all workshop activities throughout the week in which participants will work in small groups on their case study problems. Software packages and an IT classroom will be used by instructors and participants to work through drug discovery and design problems. Participants may propose problems and issues to the faculty ahead of the workshop. Participants will also have ample opportunity to discuss their perspectives and criticisms of the methods studied and should take-away key nuggets of understanding from these intensive sessions. It is our pleasure to present the programme for the 16th World Congress of Basic and Clinical Pharmacology, WorldPharma2010, to be held in Copenhagen 17-23 July 2010. For this IUPHAR congress, basic and clinical pharmacology, kept separate for too long, have come together again for a remarriage to encompass the whole process of drug development from molecular biology to clinical practice. Here the World’s basic and clinical pharmacologists and all those dealing with the development and use of drugs will meet to discuss how we can work together to meet the need for safe and effective medicines at affordable prices. As will be seen from the programme, WorldPharma2010 provides in depth treatment of the hottest topics in basic and clinical pharmacology, while at the same time offering the broad perspective of how drugs affect the living organism, which is the foundation of our subject. The programme is based on 18 two- or three- day focused conferences with a slate of top-level speakers throughout. In addition the programme offers world-class plenary lectures, as well as a range of workshops and sponsored symposia. There is a wide range of possibilities for involvement of young investigators and investigators from developing countries including poster sessions and free communications. The programme thus provides a unique opportunity for the World's pharmacologists to meet for what is promised to be a scientifically excellent programme as well as the opportunity to savour the atmosphere of Copenhagen. This conference is devoted to established topics such as advanced drug delivery systems, pharmaceutical biotechnology, micro- & nanotechnology, natural products, pharmacology and many more which will be dealt with in short oral and poster presentations. In addition, a Workshop on Pharmacy Practice and Education is going to be organized during this Meeting. As you know, education plays an extremely important role in preparing pharmacy students for several professional activities. It serves to ensure knowledge, skills, attitudes and behaviour required of pharmacists in order to contribute to communities and health systems in the best possible ways. Whether you’re a student pharmacist this Meeting will provides educational programming and networking to keep you on track in your day-to-day practice. This Meeting will give you the opportunity to generate novel ideas, practices, cultural diversity and practices, in order to promote positive changes in pharmacy education and for pharmacy to progress globally as a profession. To provide participants with a clear understanding on how to develop strategies for assessment of TP-drug interactions. Therapeutic proteins, such as monoclonal antibodies, cytokines, and cytokine modulators, are increasingly being combined with small molecule drugs and/or other therapeutic proteins. Limited scientific and development experience is available in assessing the potential for PK and PD interactions of these TP-drug or TP-TP combination therapies. In this workshop, industry, academic and regulatory speakers will highlight important main themes that have started to emerge for considerations in drug interaction assessment for therapeutic proteins such as: molecule type, target, indication, and disease biology. Speakers will also discuss recent reports regarding the regulation of CYP450 enzymes and transporters in inflammatory states. The use of cytokine, cytokine modulators, and immunosuppressant-containing combinations in inflammatory indications may have potential for drug interactions, in particular when therapeutic proteins are combined with narrow therapeutic range drugs. This workshop will provide the opportunity for participants to interact with industry, academic and regulatory representatives and to participate in roundtable discussions on how to arrive at a science-driven, risk-based approach for assessing the potential for TP-drug interactions. We are pleased to announce the third MD Users Meeting which will be held in Perugia, Italy, from the 25th to 28th of April, 2010. The main focus of the Meeting will be on the practical use of the MD Programs in real research applications, and participants will be able to work with the latest release of each Program. They will also have a unique opportunity to evaluate and try some of the novel software projects which are currently being developed by the scientists at Molecular Discovery. This unique international conference provides a platform for all pharmaceutical scientists, internists and primary care physicians to discuss and learn about all the important international breakthrough developments on drug discovery and on new therapeutics. PKUK was a spin out from the DMDG (Drug Metabolism Discussion Group) in the early 80s. The original idea came from Roger Metcalf, who used to head up DMPK at SK&F. It was felt at the time that DMDG was not adequately addressing the issues related to PKPD problems in the pharmaceutical industry and there was a need for a more specialized meeting on PKPD. Disposables for Biopharmaceutical Manufacturing brings together the key players from across the industry to discuss the main barriers facing this market and ways to overcome them – procurement, supply chain management, scale-up, implementation, cost management, environmental risk and validation. The EACPT Summer School aims to improve the knowledge and skills of young colleagues interested in Clinical Pharmacology. A broad spectrum of topics will be offered by distinguished lecturers from various European countries. These topics will include an overview of all essential knowledge in Clinical pharmacology, and also more focused lectures on Pharmacogenomics and Clinical trials in South/Eastern Europe. The purpose of this four-day conference is to provide an educational forum to discuss the current issues in selecting potential new therapeutic entities for preclinical trials and current issues in drug metabolism and preclinical pharmacology. This conference focuses on issues related to ocular drug delivery. It will entertain an integrated approach to discussing benchmarks in drug development, delivery platform technology and proof of concept models. Faculty and students from industry, the clinic and academe will be invited to present papers and posters. Abstract submissions will be reviewed and accepted for appropriate placement in the agenda. The 2009 Gordon Research Conference on Drug Metabolism will focus on current and developing research increasing our understanding of the metabolism and disposition of drugs and xenobiotics.